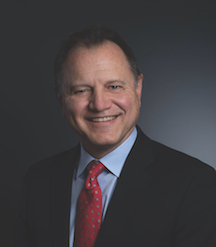 Richard A. Zimmerman became president and CEO of Cedar Fair in January 2018 and appointed a director in April 2019. During his tenure with the company he has accepted steadily increasing levels of responsibility since being named VP and general manager of Kings Dominion near Richmond, Virginia, in 1998. From an early age, Richard was fascinated by business and dreamed of running one himself. As a business leader, he brings a well-balanced approach and an ability to coalesce organizational strengths to accelerate the pace of progress. Richard used those insights to design Cedar Fair’s Fast Lane program, a high-demand and highly successful, in-park product which drove a considerable increase in annual revenues as well as reinvestment in the company’s parks. Prior to becoming CEO, Richard was Cedar Fair’s president and chief operating officer from October 2016 to December 2017 and served as chief operating officer from October 2011 to October 2016. Prior to that he was appointed as executive vice president in November 2010 and as regional vice president in June 2007. He was vice president and general manager of Kings Dominion from 1998 to 2007. Richard earned a bachelor’s degree in accounting from Georgetown University, where he led the formation of an active, on-campus business fraternity. He is a former director of the Richmond Chamber of Commerce and the Richmond Convention & Visitors Bureau. Richard also served as committee co-chair for NOVA of Virginia Aquatics, Inc., a non-profit offering year-round youth swimming programs and competitive training. A well-connected professional in the Richmond business community, Richard led a capital campaign to build NOVA’s second aquatic center which helped put the training program, now among the top-five in the U.S., on solid financial footing for the long haul. Growing up in Kansas, Richard viewed himself as “the other guy.” While his hometown buddies were waking up at the crack of dawn for football camp two-a-days, or wearing down the tacky bottoms of their Converse high-tops playing hoops, Richard preferred capturing all the action from behind a camera lens, shooting game film for the coaches and snapping player photos for the high school yearbook. Even back then Richard’s passion was creating memories for a lifetime – much like he does today at Cedar Fair.